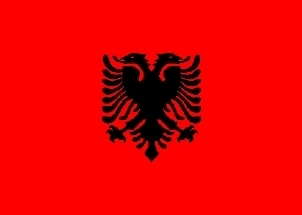 On November 29, Albania was the sole Muslim-majority country in the United Nations to be counted among the 41 abstainers from the proposal to admit Palestine as a non-member observer. Certain Islamists were displeased, to say the least. In particular, Turkish prime minister Recep Tayyip Erdoğan, head of the "fundamentalist-lite" Justice and Development Party or AKP, responded with one of the tantrums that has become a hallmark of his administration. Erdoğan declared that he had exerted pressure on an unnamed Muslim land to abandon its intention to vote "no," encouraging it to support the Palestinians, and arguing that an abstention would be considered the same as a "no" by Turkey. "I told them that this would damage bilateral relations we have. . . . It would upset us," Erdoğan complained. He went on to lament, "there are many cowards in the world." The Istanbul daily Hürriyet soon revealed that the target of Erdoğan's fit of pique was Albania and its prime minister, Sali Berisha. Outsiders may not grasp how offensive Erdoğan's snit was to Berisha and his people, especially as it came during Albania's celebration of the centennial of its independence from the Ottoman Empire. For a Turkish politician to call Albanians "cowards" is breathtakingly heedless and arrogant. The leading Albanian-American journalist Ruben Avxhiu, editor of the New York-based semi-weekly Illyria, warned on December 7, in the daily Panorama published in Tirana, that the Albanian proclamation of freedom in 1912 "ended five centuries of Turkish occupation. Albanians . . . were determined not to let Turkey ever again make decisions on their behalf. This remains true today." Avxhiu observed, "Albania enjoys excellent relations with Israel . . . the intention of some of the actors [at the U.N.] is not peace for all the people of the region, but punishment and condemnation of Israel." He wrote, "The Palestinian President, who a few days ago asked for the right of self-determination for his people at the UN, has denied it several times to Kosova. In an official visit to Belgrade, the capital of Serbia, he said that Kosova's independence was a breach of international law and advised Kosovars to go back to the negotiating table and decide their status in agreement with Serbia. This is interesting advice, considering that it is exactly the opposite of what he is doing at the UN by asking for status while bypassing talks with Israel. Furthermore, Kosovars could only wish that Serbia would publicly agree in principle to a two-state solution, the way Israel has done. . . . Abbas's advice is highly hypocritical." Regarding Erdoğan, Avxhiu remarked on "the lure of the popularity that he has won in the Arab Street because of his harsh criticism of Israel. He hates to be surpassed by anyone else in this context, and certainly not by Iran's Ahmedinejad. . . . There may be other explanations of his position on the Palestinian issue, but nothing seems to distinguish him as 'brave,' at least not to the point of having the right to call a 'coward' the leader of another country, who makes his decisions based on different geopolitical, electoral and cultural parameters and circumstances." In an obvious reference to the Turkish leader, Avxhiu concluded, "the person who is harmed the most is almost always the one who cannot resist running his mouth." Albanian officials, including Prime Minister Berisha, who spoke on Albanian national television about the controversy with Erdoğan, were restrained and dignified, but firm. Albania had chosen to follow the lead of the United States on the Israel-Palestine issue, which Berisha described as "the most complicated in the world." Abstention represented a step back from a "no." But the government in Tirana would support a peace process and a two-state solution, not a one-sided vote to satisfy the Arab and Islamic alliances. Nevertheless, ameliorative gestures by the Arab powers were soon visible. Qatar, which operates a large academic and investment center in the middle of Tirana, hosted a lavish reception at the Hotel Sheraton Tirana to mark the Gulf emirate's National Day, which falls on December 18. The Qatari event was held at the end of November, in advance of the official date, with Berisha and other Albanian politicians in attendance. For its part, Turkey sought to heal the breach with a celebration, on December 3, of the 20th anniversary of Ankara's diplomatic recognition of the post-Yugoslav states of Slovenia, Macedonia, Bosnia-Hercegovina, and Croatia. 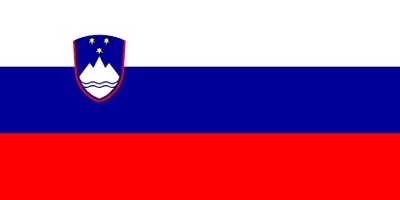 The flag of the Republic of Slovenia. 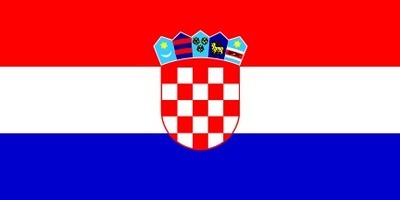 The flag of the Republic of Croatia. Turkish foreign ministry official Mehmet Hasan Göğüş told the Tirana media, "We have so much in common, historical ties exist between the two countries and peoples, and there are no political problems whatever between Ankara and Tirana." At the same time, the Turkish authorities emphasized their friendly view of Serbia. Göğüş stipulated, in an idiom treated with suspicion by many Albanians, that Islamist Turkey has no ambition to "unite the Balkans under a Turkish umbrella. . . . [A] Pax Ottomanica has never been mentioned." Erdoğan and his colleagues, however, have frequently admitted their expansive attitude toward the former Turkish possessions in Europe, and the Turkic cultural sphere in Central Asia as the basis of a revived dominion. On December 10, Albanian media described a visit by Saudi officials, headed by the president-general of the Saudi Youth Welfare and Olympic Committee, Prince Nawaf Bin Faisal Bin Fahd Bin Abdulaziz. The Saudis were praised by Berisha for their assistance to Albania through the World Bank, the International Monetary Fund, and the Islamic Bank. At the same time, a leading Saudi business figure, Fawaz Alkohair, arrived and celebrated Albania's "geographical location . . . low fiscal burden, business services, labor and cultural flexibility," while promising new investment projects. 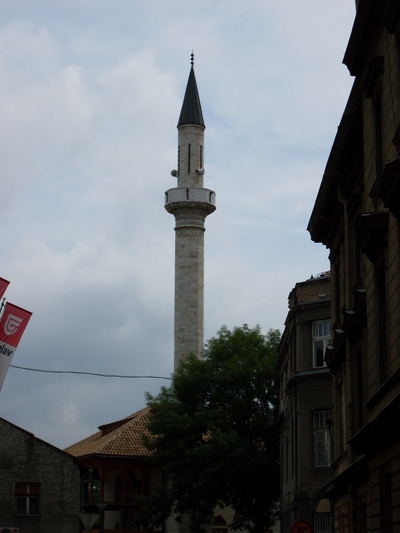 The Maghribija Mosque, 16th c. CE, Sarajevo, Bosnia-Hercegovina – Photograph 2009 Via Wikimedia Commons. Arab and Islamic interests cannot resist the temptation of an economic and ideological colonization of the Muslim Balkans. But while the business benefits of such penetration may appear benevolent for both sides—given extremely high rates of poverty and joblessness in southeastern Europe—other consequences, intended or not, are extremely dangerous. Business ties may also bring the infiltration of Wahhabi and other Muslim extremists in Balkan Islamic communities with a history of religious moderation. In Sarajevo in October 2011, a Serbian Muslim named Mevlid Jašarević fired at the U.S. Embassy with an automatic weapon, injuring no Americans but wounding a Bosnian guard at the facility. Jašarević was shot by Bosnian police, which ended his rampage. 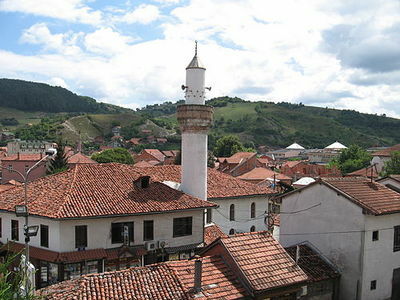 After hospital treatment, Jašarević, who had gone from Novi Pazar, Serbia, to live in the Wahhabi-controlled hamlet of Gornja Maoca in northeast Bosnia-Hercegovina, was tried by the Bosnian State Court. Before loading up his weapon and heading for the American diplomatic compound, he had made the typical terrorist video demanding that the United States leave Afghanistan and that the Bosnian authorities end efforts to suppress Wahhabi activities. Facing the judges, Jašarević promised further attacks and claimed his trial and impending sentence would not deter others like him. 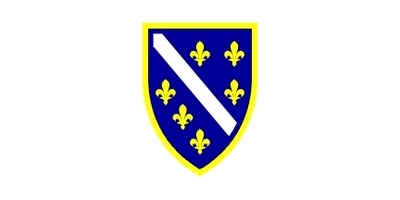 Bosnian prosecutor Dubravko Čampara charged Jašarević with participation in a terrorist conspiracy, abetted by two accomplices, Emrah Fojnica and Munib Ahmetspahić. Defense attorney Senad Dupovac pleaded that Jašarević acted alone and sought martyrdom rather than harm to Americans. Dupovac averred, at the same time, that Jašarević aimed his weapon at U.S. agents. 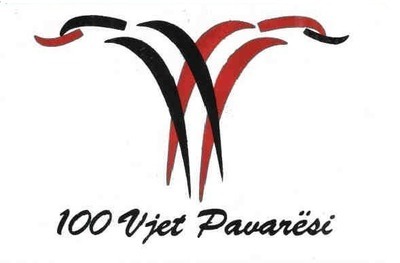 On December 6, Jašarević was convicted and sentenced to 18 years in prison for terrorism. His associates, Fojnica and Ahmetspahić, were acquitted. But Judge Branko Perić commented that the prison term was the longest the court had yet imposed in a terrorism case and expressed his hope that it would caution others against committing similar crimes. Novi Pazar, Serbia, 2008 -- Photograph by Lumen Roma, Via Wikimedia Commons.